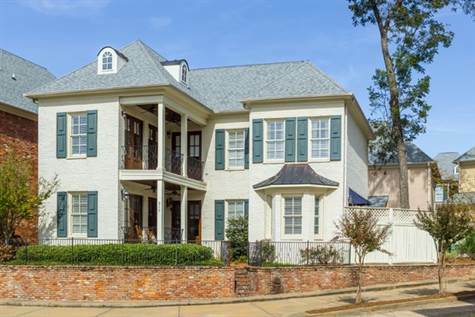 Corner lot with double garage in Provence Park. This home features reclaimed heart pine floors; two living areas downstairs; large upgraded kitchen with Viking range, and built-in pantry; 10 foot ceilings and wood doors. The upstairs has three nice size bedrooms each with its own bath, and a great flex space that can be used as a bunk room or office with closet. It shares a bath with the adjoining bedroom. The master bedroom has double wood doors that open to the spacious balcony. Development has a nice pool area and shuttle bus for the owners. Furnishings negotiable with a sale.